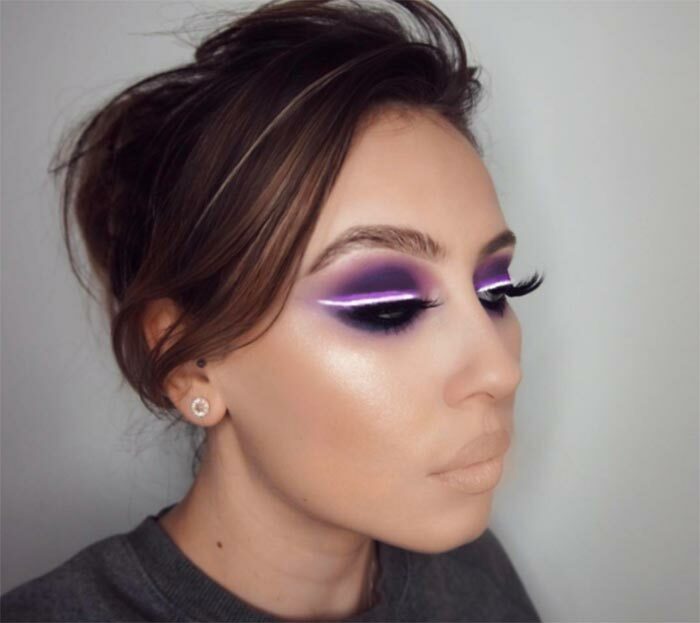 Neon lights are everywhere, and now the newest trend taking over Instagram is neon light makeup. 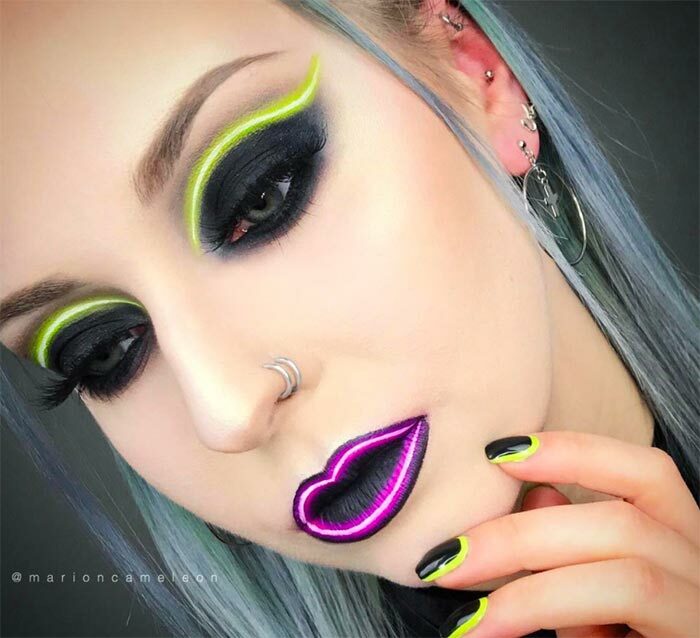 As a trend goes, neon makeup is clearly the next evolution of the ultra bright neon colors and black light effects that we have seen recently. 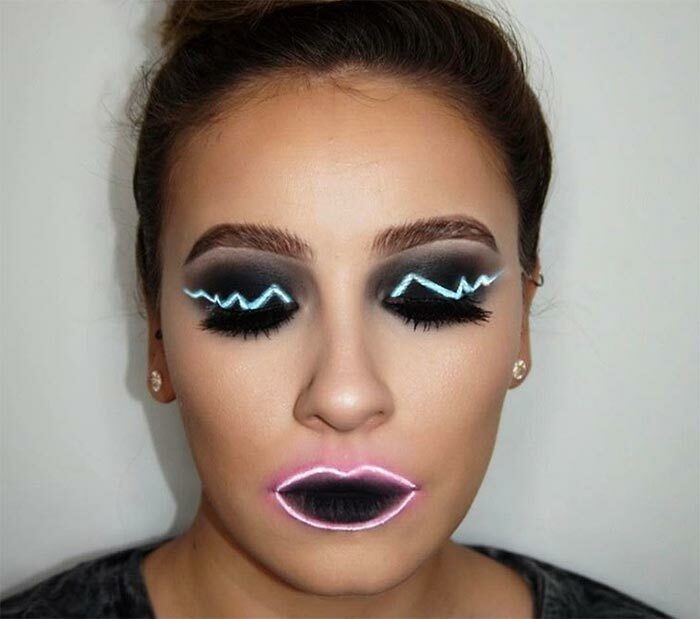 The neon light makeup trend is being quickly embraced and picked up in two different ways. 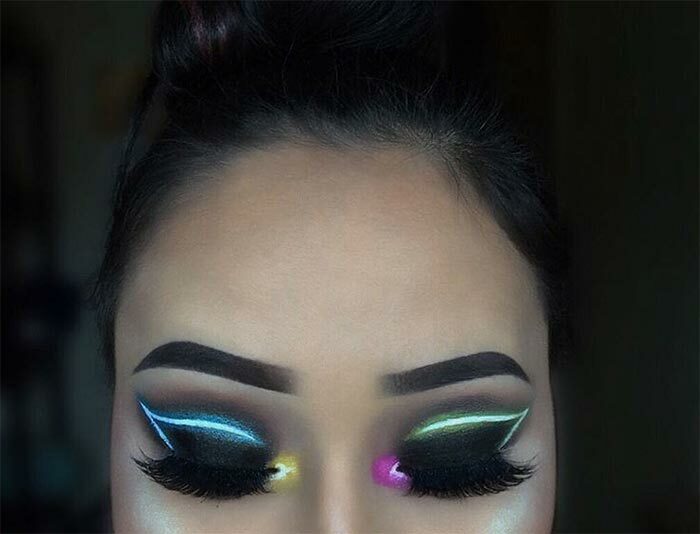 While the neon light makeup look is achievable with colors that are bright and varied, the best effects look like the neon lights seen in windows and as signs on the side of the road. This type of neon light makeup is doable with a steady hand, a bit of mixing and a good, clean ‘neon light’ color. This can be white or electric blue, yellow, red, purple, whatever color you want really as long as it will stand out with the effect you want. 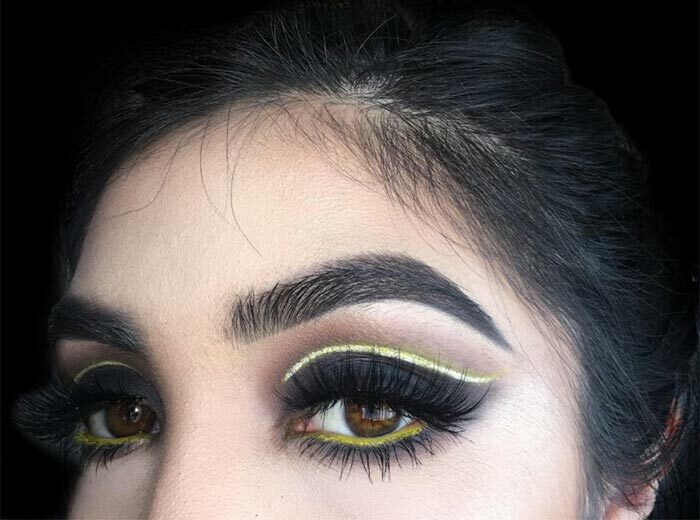 This trend is flying all over Instagram and filtering through the rest of the Internet in every increasing ripple of gasps and exclamations of how amazing the effect is. 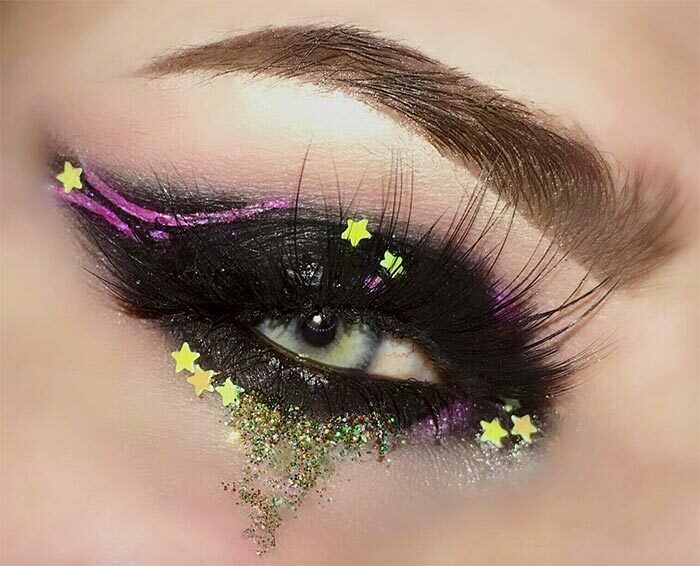 The neon light makeup trend is also including accessories like lashes in florescent colors that are incredibly bright even in the daylight and, of course, neon black light options. The effect is more than a conversation starter or a point of admiration ” it is fun. The way it works on the face is unexpectedly pleasant, even awe-inspiring, and the number of feature-accentuating looks that have already been created is incredible. It doesn’t take much more than a few looks for a trend to pick up speed on Instagram and YouTube. The neon light makeup trend is just gaining steam; as it picks up, we will see and learn so many new techniques, the best part of any trend taking over really, and the resulting looks will be amazing to say the very least. Many of the looks do not require a slew of colors; many of the looks have been done with as few as two colors. 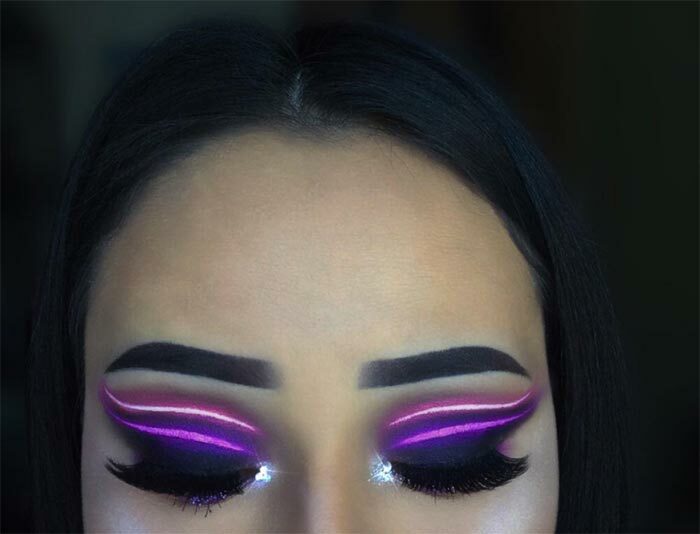 This new version of neon makeup is on a completely different level than before and the makeup artists who are the driving force behind this should be applauded for their creativity. The cosplay options will be brilliant and I personally am on the edge of my seat with excitement over how this trend will be utilized within that sphere of makeup magic. Thankfully most MUAs are happy to share their techniques and products used through tutorials so even then we can learn and apply as we like. 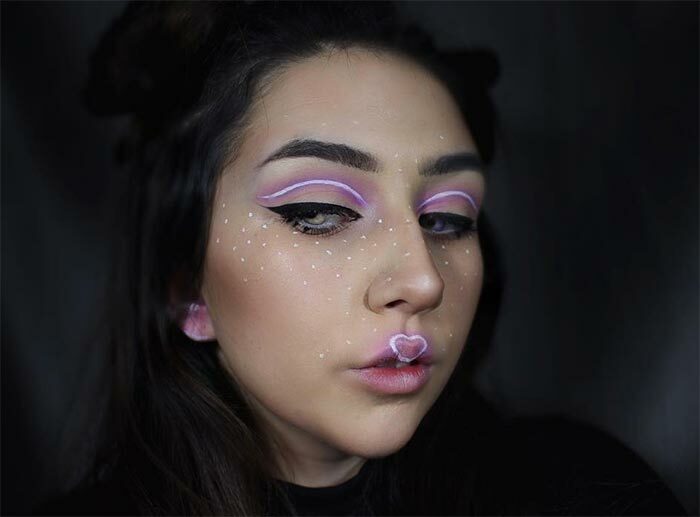 The fun thing about the neon light makeup trend (and all makeup trends really) is that although it is an ultra-noticeable look, it is customizable because it is makeup, so we can always show off a bit even in our more ‘natural’ styled makeup looks.